Pizzeria Stella, in my lovely city of Philadelphia, is a great place to eat after a fun day of walking around shopping, or in my group’s case, traveling. 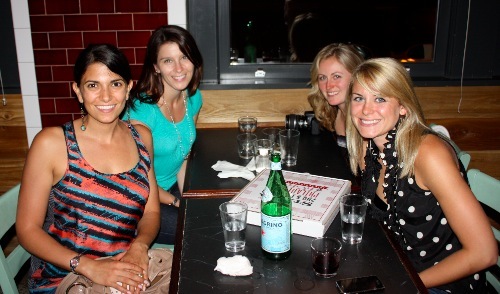 Jenna of Eat Live Run, Tina of Carrots n Cake and Anne of fANNEtasticfood are in town and we started the early weekend off right with pizza and salads. Stella is very different than the other Steven Starr restaurants. It is inexpensive and casual, but your meal will tell you otherwise. 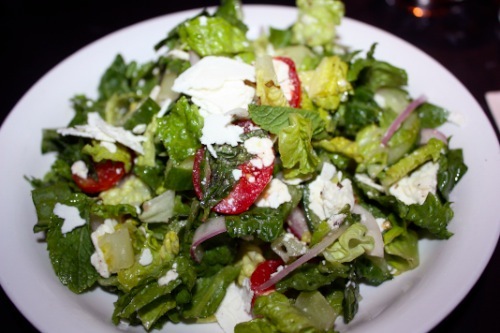 I started with the romaine salad ($6) which had ricotta salata, cucumber, onion, cherry tomato, and mint. I love the burst of flavor the fresh mint added, and the ricotta salata nicely balanced out the other ingredients. For our dinner we chose to share three pizzas. I still can’t decide which is my favorite. The margherita ($13), a difficult pizza to master, had a crispy crust, sweet sauce, and just the right amount of fresh mozzarella and basil. I almost wish we had gotten 3 of just that type. 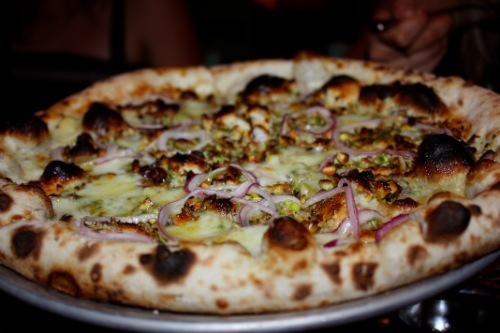 Then we received the pistachio pizza ($14). How.. strange? How different! How creative! I will definitely be recreating this at home. The crunchiness of the nuts was so interesting and fun on a pizza. Last we tried the tartufo ($17). This is my second time to Stella and I remembered loving this pizza from our first trip. The presentation is just lovely. 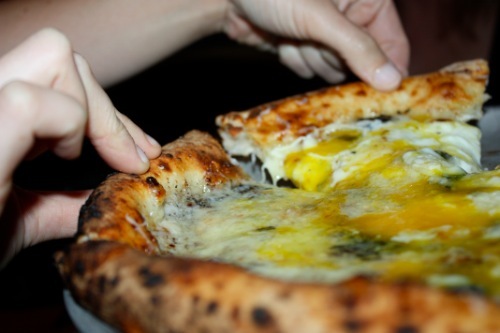 The yolk of an egg is cracked with a spoon and the server spreads it over the whole pizza. By the time we finished eating we had no room left for dessert. Too bad because Stella has a nice selection of gelato! I love making real true friends. 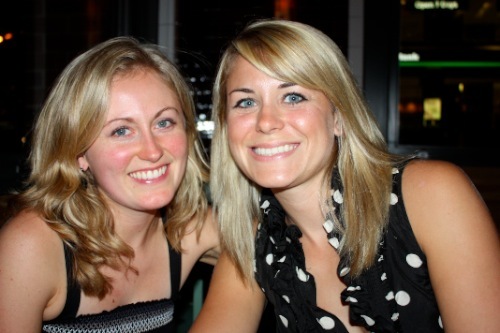 These girls are amazing. I can’t wait to shop on South Street this summer (hint hint PB!!) 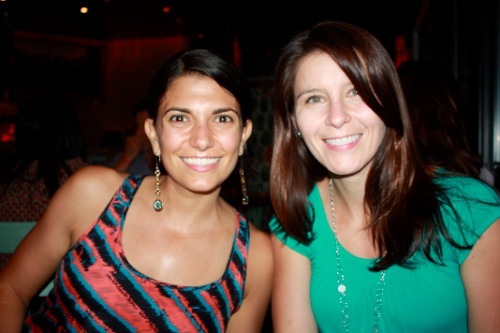 and then head over to Stella for a pizza, salad, beer and a good time. I love my life. *Stella did treat us to our dinner, but all of my opinions are my own and I can’t wait to go back! 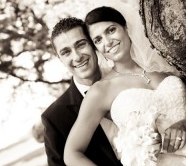 Thanks for the great pictures! My mouth is watering now. 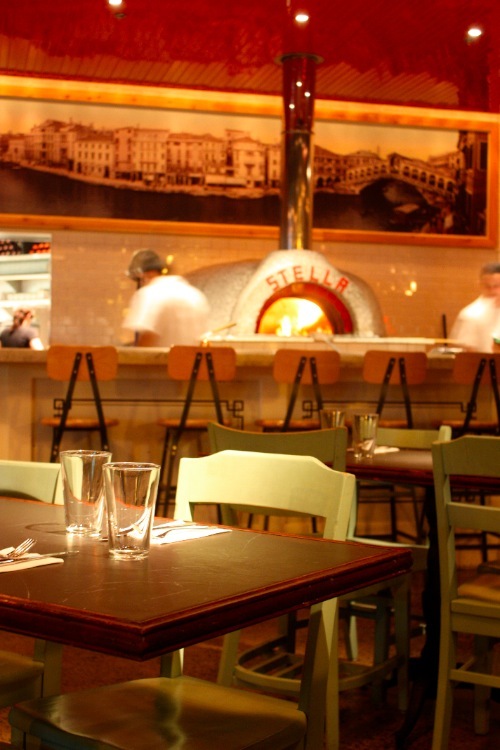 I love pizza and now I can’t wait to try out Pizzeria Stella. 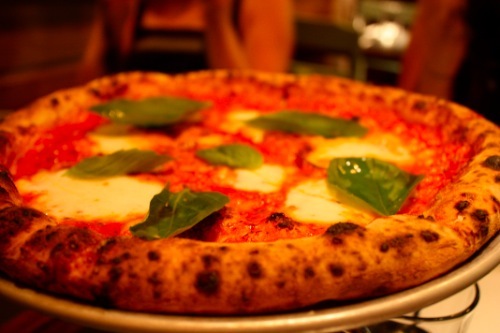 Great review… the pizzas look amazing! I have to visit Stella! I am obsessed with the Tartufo pizza. We went with a couple friends a while ago, and while I know the other two pizzas we got were fantastic too…all I can remember is the Tartufo. Looking forward to seeing you guys later today! the pistachio pizza sounds really great! definitely different, but i kind of want to try to recreate something like it now…yum!